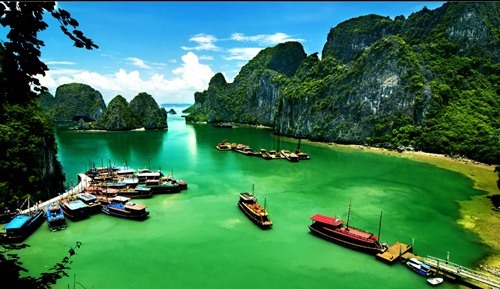 Vietnamese travel agencies offering budget tours costing less than VNĐ12 million (US$537) to South Korea cannot get advertising assistance or participate in joint tourism promotions with the Korean Tourism Organisation (KTO). KTO’s office in Việt Nam said the move is aimed at limiting inexpensive and low-quality tours. A tour used to cost some VNĐ20 million ($896), but now many travel firms have reduced the price to less than VNĐ12 million ($537) per visitor. Cheap tours often include visits to shopping destinations but disappoint travellers since they do not provide much time for sightseeing. “From now on we will cut special offers for enterprises selling their products at less than VNĐ12 million per visitor,” Lê Thị Thu Trang, marketing manager of KTO in Việt Nam, said. KTO’s promotions and support for Vietnamese tour operators have helped sharply increase the number of Vietnamese travellers to South Korea from 106,000 in 2012 to an estimated 240,000 in 2016.